Law of Demand: Prices go down, quantity consumed goes up (and vice-versa) if nothing else changes. 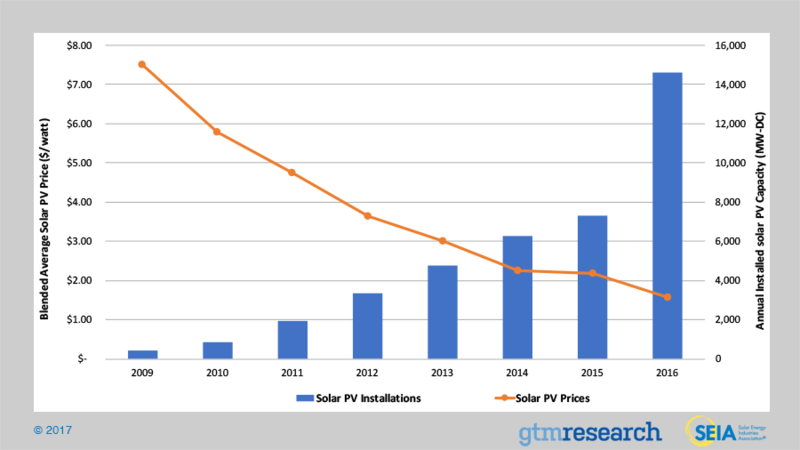 The cost to install solar has dropped by more than 60% over the last 10 years, leading the industry to expand into new markets and deploy thousands of systems nationwide. Now 1.3 million installations in the U.S.